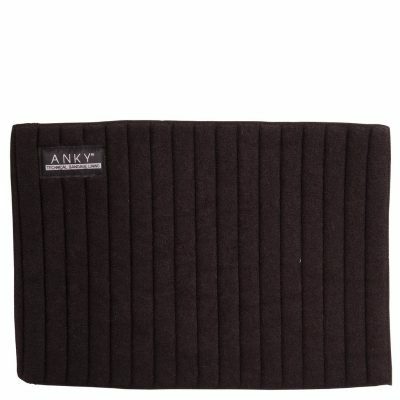 ANKY® Bandages are made of specialized fabric on the inside and a nylon terry cloth on the exterior surface. Inside the bandage is a specially developed polyamide filling which relieves, absorbs, spreads and lessens the pressure on the leg of the horse. 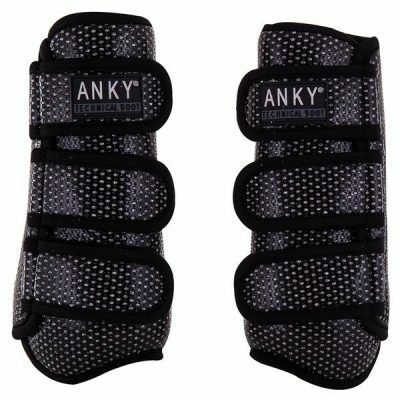 Anky Cooldry under bandages are also perfectly suited for use after training, especially for cooling down of the horse’s legs. These bandages make sure all liquids will be drained off, so that the leg can cool down easily, fast and efficiently. They are available in two different sizes: 30cm*45cm (ATB007) and 50cm*50cm (ATB008), in packages of 4. 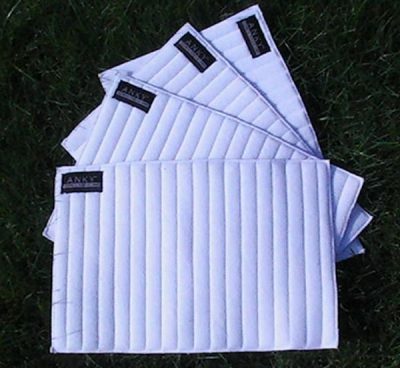 These excellent breathable under pads are designed to wick moisture away from the leg, offer protection and alleviate any pressure from bandaging. Superior quality and technology.